Apartment in Palermo Hollywood, Buenos Aires - Match Point ! Spacious 1800 square feet, four bedroom apartment located on the 14th floor of a modern building, gym, sauna, pool, BBQ, sundeck and tennis court – Pack your sneakers! This upscale modern apartment building is located on the edge of Palermo Hollywood and set on a quiet, side street. 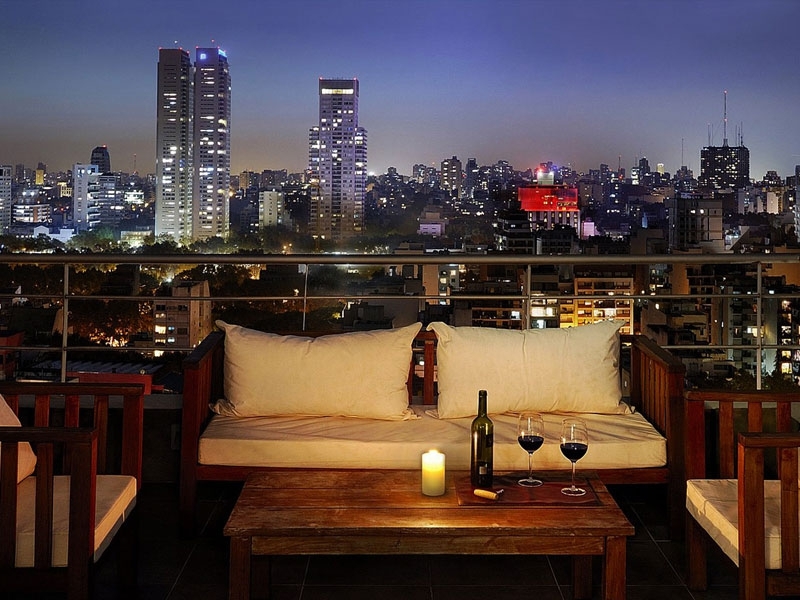 This apartment for rent in Buenos Aires is just a block away from the subway station, giving you easy access to anywhere in the City. The living area is both bright and spacious, with comfortable sofa seating, 32’ TV with cable and cityscape views through the panoramic windows that open out onto a balcony area that runs the length of the apartment. The dining area with retro table and chairs is a great place to sit down to eat after preparing dinner in the well appointed kitchen. There are three double bedrooms and the fourth bedroom features a bunk bed arrangement that is ideal for children. The apartment boasts three bathrooms so there will never be a queue for the shower. This modern apartment building with 24 hour security, has a well equipped glass walled gym, swimming pool set in grassy garden area, sauna, BBQ facilities and last but not least a tennis court to practice your topspin!